The Government Issue unit, or G.I. 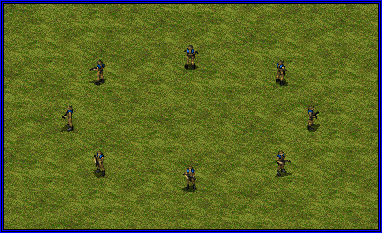 for short, is the standard infantry for the Allied ground assault troops. They are equipped with a machine pistol and a powerful DSR-80 machine gun in order to mow down enemy soldiers. Unfortunately, the DSR-80 produces far too much recoil to be used on the move. The biggest drawback however was that G.I.s were very vulnerable to enemy fire when using it. This glaring vulnerability was solved by issuing sandbags to G.I. 's and training in using them for personal protection. The effects were immediate as casualties dropped sharply. This technique was improved and utilized for the Guardian G.I. 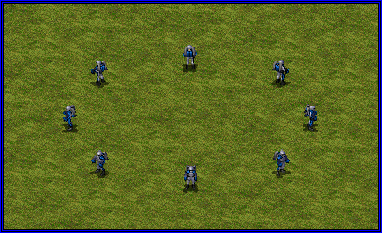 anti-armor infantry divisions to great effect as well. For even more protection, G.I.s are trained in fortifying civilian structures to protect them from enemy fire. Can deploy for damage and range bonus. 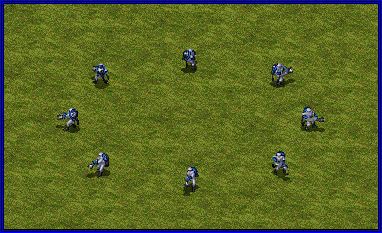 Starting infantry unit for the Allies. The Rocket Soldier has been a vital asset in the previous wars with the Soviets as an anti-armor and anti-air infantry. Now they're back, with a twist. Borrowing from the sandbag tactics employed by normal G.I. 's, the new Guardian G.I. carries collapsible steel plates which can be deployed to form a shield around the soldier, protecting him from small arms fire and the crushing treads of tanks. Once stationary, the Guardian G.I. can utilize his 'Red Eye' laser targeting systems. 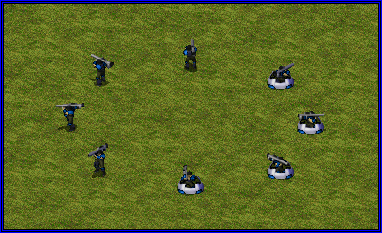 This allows the soldier to fire missiles at a longer range and with better accuracy. Like their G.I. counterparts, G.G.I.s can also garrison buildings for additional defense. Can deploy for damage, range bonus and laser targeting. Cannot be crushed by normal vehicles when deployed. A dog is a man's best friend. This age old adage is proven time and time again with the effectiveness of military attack dogs. Trained to attack enemy troops with no remorse, these canines are a threat to any infantry on the battlefield. Their speed, excellent swimming ability, and above-human perceptiveness makes them excellent scouts. It also allows them to sniff out enemy spies effectively. Unfortunately, to make sure the dogs are able to remain agile, they are equipped with only the lightest armor. 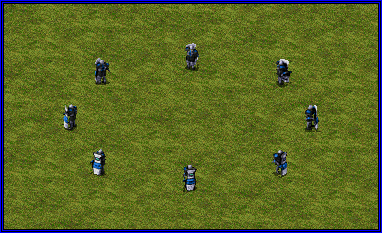 They are completely helpless against defenses and vehicles. Cannot mutate into Brute or turn into a Duplicant. Engineers are a vital part of any military operation, whether it's instantly repairing friendly structures or bridges, capturing neutral or enemy buildings, or defusing bombs planted by enemy insurgents. Though an Engineer has many uses, he is unarmed, and so is often a priority target for enemy forces. Additionally, all Engineers can capture empty vehicles and tech structures instantly. Can find and disarm Ivan's and Arsonist's bombs (bomb sight: 7). Creates a repair vehicle inside an IFV or Stinger. Can repair destroyed bridges by entering the Bridge Repair Hut. One Engineer can capture any Tech Building, Tech Vehicle or Empty Vehicle. One Engineer can capture an enemy structure when it's at 33% (red) health. 2 Engineers are required to capture an enemy structure with 66% (yellow) health. 3 Engineers are required to capture an enemy structure with 100% (green) health. In singleplayer campaign and cooperative only 1 Engineer is required to capture anything. Even with all their armor and training, an Allied soldier doesn't last very long in the field without support. On the battlefield, where every man counts, the Medic is there to keep the troops alive as long as possible. Though the Medic is unarmed, do not underestimate his potential when surrounded by a group of soldiers. Since many centuries, man has wanted to fly. Though the invention of aircraft alleviated this desire to some degree, the concept of soldiers being able to fly around the battlefield almost indefinitely was a dream for the Allies that has finally been realized through a joint project by Allied scientists. Rocketeers are brave individuals who hover far above the battlefield, engaging ground and air targets with relative impunity. Though their high speed and maneuverability makes them excellent scouts, they are very vulnerable to anti-air emplacements, and should be kept well away from them. Following the Prism Tank's success as a siege engine, efforts to create a miniaturized prism weapon quickly sprung up. The most successful attempt was the Comet Prism Rifle 00, which was quickly put into mass production. The Siege Cadres are men trained to use the rifle with pinpoint precision, allowing for devastating results on hardened targets and structures, as well as human flesh. Armored vehicles however, have proven to be a problem due to the lack of charging coils in the prism rifle to increase portability. Siege Cadres wear extra thick suits to protect them from any possible discharges from their weapon. This has the beneficial side effect of protecting them from Attack Dogs but the disadvantage of being affected by the magnetic weapons. Immune to Dogs and Spooks. Navy SEALs are the elite soldiers of the Allied forces. Extensively trained in various weaponry, covert ops, and amphibious assaults, they are more than capable of handling most ground threats. They can use their C4 charges to quickly demolish enemy structures as well. SEALs are excellent for marine warfare as well, capable of detecting submerged enemy units and destroying ships with their C4. Can detect cloaked and submerged units (sensors range: 7). Espionage has been an essential part of warfare for millennia. Spies exceed in blending in and disguising themselves, allowing them to slip past enemy lines. Spies can provide a commander with invaluable assets when he infiltrates an enemy facility, but be wary of units that can detect them, as a Spy is unarmed. The Allied Spy is the cheapest infiltrator that can disguise. 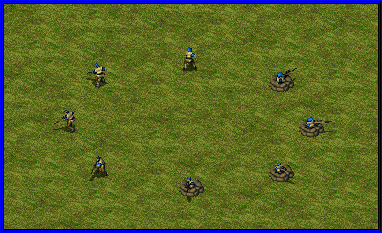 Enemy Barracks: All your infantry will be trained as veteran. 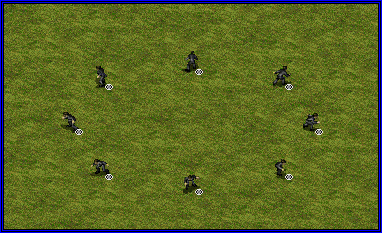 Enemy Factory: All your War Factory units will be produced as veteran. Enemy Radar: Battlefield will be reshrouded for the radar's owner. Enemy Power Plant: Owner's power will be shut down for 1:30. Enemy Nuclear Reactor: Owner's power will be shut down for 2:00. Enemy Refinery: You will steal $5000 from the refinery's owner. Enemy Ecobooster: You will be able to see enemy's money count. Enemy Laboratory: Additional technology will be unlocked. Enemy Superweapon: Counter for the infiltrated superweapon will be reset. 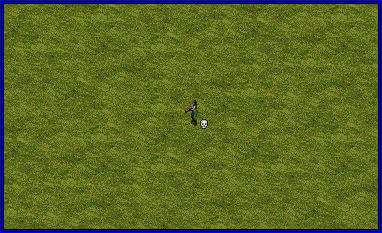 Enemy ConYard: You will be able to see enemy's building production and power count. This infantry is unique to United States of America. It is a widely known fact that the United States joined late during the Second Great War. American soldiers which were sent to Europe right after the basic training and without any knowledge on how to fight in the European theatre had to face the Soviets in a harsh and brutal urban warfare. While the Soviets adapted to using spades, grenades and short but quick-firing submachine guns, the Americans were suffering heavy casualties against battle hardened Soviet troops until they deployed heavier equipment. In time, the United States' forces decided to arm their troops fighting in urban areas with more frag grenades and shotguns, focusing their training on how to fight in towns and cities. Years before the Soviets attacked once more, specially trained soldiers with heavy flak jackets, riot shields, riotguns and flash grenades designed to flush out hostiles from the buildings and streets, were prepared to join the battle if another conflict arises. Fires both weapons in order at a single target. Flash grenade decreases infantry firepower by 10%. 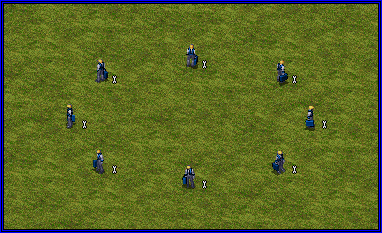 Can clear out garrisoned structures by killing their occupiers. This infantry is unique to European Alliance. To face the threat of the vast manpower reserves of the Soviets, the Euro Alliance found a resolution that fits within their defensive strategy during the conflict. Knowing that during the Second Great War the Soviets were simply sending hordes of badly trained Conscripts together with NCOs that had little to none knowledge about commanding and operating on the field, it became clear the infantry hordes were vulnerable to attacks from hidden positions and great distances. Skilled Snipers have no problem dealing with the Soviet troops, causing panic and fear in their lines, making them chaotic and unorganised on the field. 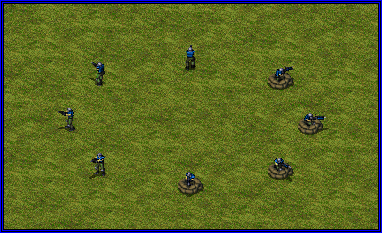 After the war, the countries of Euro Alliance decided that there should be one Sniper in an infantry company. The best marksmen in the companies who had the highest score during the basic and advanced training, were granted advanced sniper rifles, a weapon feared among the Soviet troops. Minimum Range: 1 (when on the move). Does not reveal his position when firing. Can deploy for rate of fire and range bonus. This infantry is unique to Pacific Front. After several of exhausting battles against Chinese divisions and later Russians, Pacific Front forces have taken big losses to their armored and infantry divisions. Losses taken were so severe, that KI scientists desperately attempted to find a way to increase survivability rate of their troops. However, several events enforced them to delay the research on a certain experimental weapon for long time. Finally, answer came with freshly developed equipment, named the "Negation Field". This device was capable of reverting the destructive nature of every projectile to point, where attacking would simply heal enemy - with reversed result for any repairing or healing tools. 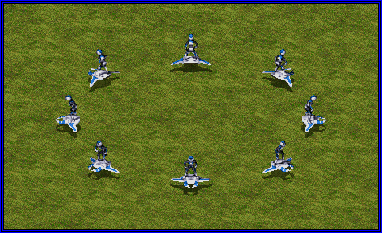 After several tests and positive results of new weapon's efficiency, Negation Field has been mounted on armored hoverboards and introduced to Pacific Front soldiers. Those, who mastered the potential of new technology has been named by others as Suppressors. The technology behind the "Negation Field" remains a mystery. 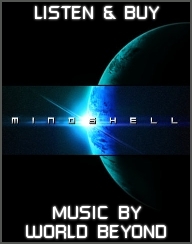 Some of Pacific Front's enemies speculate that it is based on previously undiscovered Einstein's chrono research which wasn't completed due to his death. What is known is that the Suppressors quickly earned their fame in battle, and now are favourite support units of many Pacific Front commander, capable of fighting on both land or water and supporting frontline assaults with great results. Whenever there are Suppressors on the field, the casualty ratio for the Allied troops is ensured to stay low. Not affected by firepower debuffers. Cannot be crushed by normal vehicles. 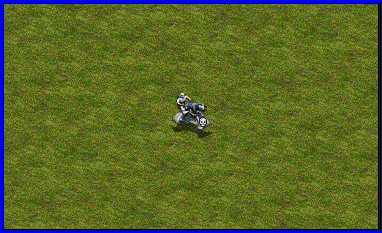 Weapon halves and reverses the value of enemy unit's firepower for 8 seconds. The Chrono Legionnaire can erase enemies from time using his special weapon, freezing them in time as he methodically erases every trace of the unit from the time continuum. 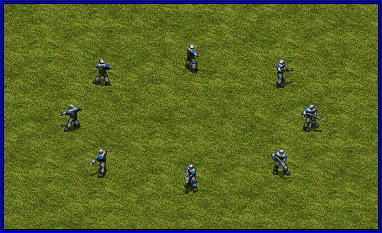 While being erased, targeted units are not present in any time stream, and are therefore invulnerable to all weapons. 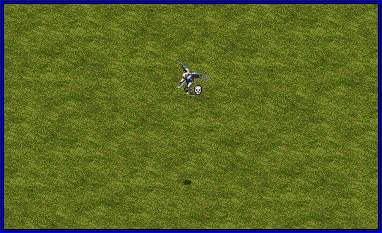 Chrono Legionnaires can chronoshift across entire cities and "erase" buildings and soldiers. Due to the need to make the chronoshift device compact enough to be man-portable, the generators in the suit are not powerful enough for instant timeshifting. 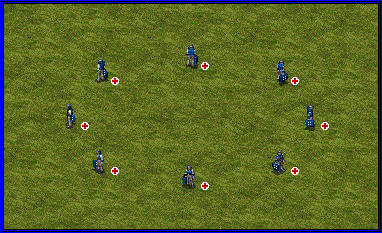 Although the Legionnaire can instantly reappear in the desired location, it takes time for the Legionnaire to reform completely. The longer the jump, the longer it takes for a Legionnaire to fully re-enter the time stream, leaving him vulnerable. Not affected by speed debuffers. Not affected by cloak casters. This commando works for United States of America. The true origin of Tanya Adams is completely unknown to all except a select amount of high-ranking officials in the United States. Speculation runs wild about this almost legendary special agent, who played a pivotal role in the First Great War as well. The most accepted theory is that Tanya Adams isn't her real name, but a code name for the last person from a selection of the most elite field agents to remain standing after a gruesome training mission known only under the term 'bellum regalem', a gauntlet comprising of anything and everything that could possibly be thrown at an agent. Tanya is equipped with one of the first working attempts of a miniaturized laser weapon, capable of cutting through tank armor and human flesh with great ease. C4 charges allow her to take down both ships and buildings in the blink of an eye, making Tanya both lethal on and off-shore. Watch Hero Spotlight about Tanya! Watch ANOTHER Hero Spotlight about Tanya! Can clear out garrisons by entering them. Can detect cloaked and submerged units (sensors range: 9). This commando works for European Alliance. Siegfried is known as a close associate of the late Albert Einstein. Though Einstein believed his technology should primarily be used for peaceful purposes, Siegfried has set out into the field to show that it is essential to weaponize Einstein's technology in order to protect the free world. On the battlefield, Siegfried is the man that pilots the Zeitgeist, a massive craft that wields some of the Alliance's most advanced chrono-technology. He can bombard enemies from a great distance with a cutting edge weapon that creates a small, unstable chrono vortex, inflicting a huge amount of damage to anyone caught up in it. 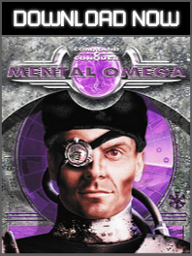 When ordered to deploy, Siegfried creates a large, stable chrono-field, that temporarily phases himself and all friendly units in the area, out of this plane of existence, becoming completely impervious to most outside influence. However, phasing out makes any movement impossible. Due to the bulkiness and weight of his craft, Siegfried can't fit into most smaller transports and cannot cross water. However, he can still make use of Allied air transports. Watch Hero Spotlight about Siegfried! Takes 2 slots in a transport. Cannot be crushed by any vehicles. This commando works for Pacific Front. After graduating from Waseda University, Tomokawa initially found employment as a police officer assigned to the Tokyo Metropolitan Police Department's Anti-Riot Squad division before joining the Japanese Rocketeer division. Due to outstanding acts of courage in the field, Norio quickly rose through the ranks, eventually being selected as the prime candidate for the Pacific Front's latest developments in armored flight suits. Norio uses the 'Garuda' power armor of which only a few were made. Capable of flying at incredible speeds, Norio is well-equipped to deal with air and ground threats, freezing enemy infantry with a built-in cryo rifle and destroying enemy armor and aircraft with a burst of guided missiles. The suit also allows Norio to resist an amazing amount of anti-aircraft fire, though concentrated fire will eventually overwhelm him. Watch Hero Spotlight about Norio!